Here’s where I sit with the model. 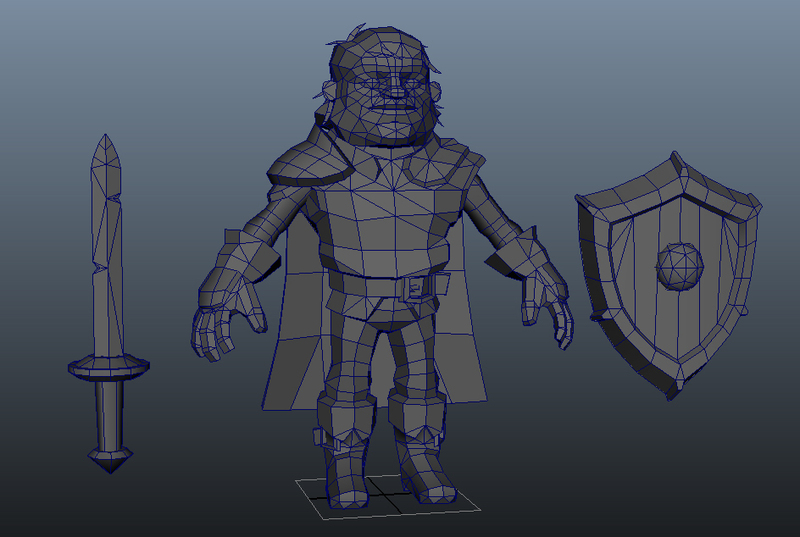 Target is 2500 Tris + 512 texture for the character and 500 Tris + 256 texture for the sword and shield. Just a minor bit of optimization left on the character, and then it’s onto UVs and textures. Jason Young-Game Artist is powered by	WordPress 4.5.17 and delivered to you in 0.350 seconds using 21 queries.